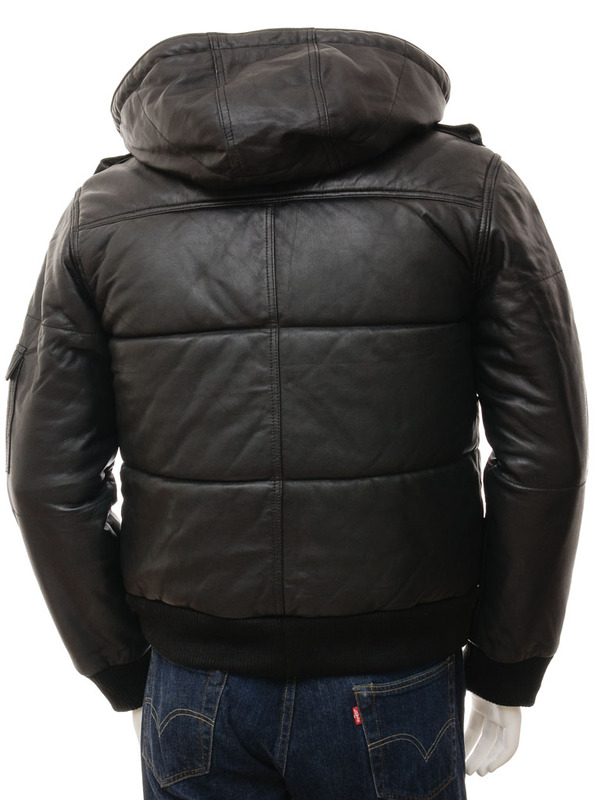 A super warm leather puffa bomber jacket in black. 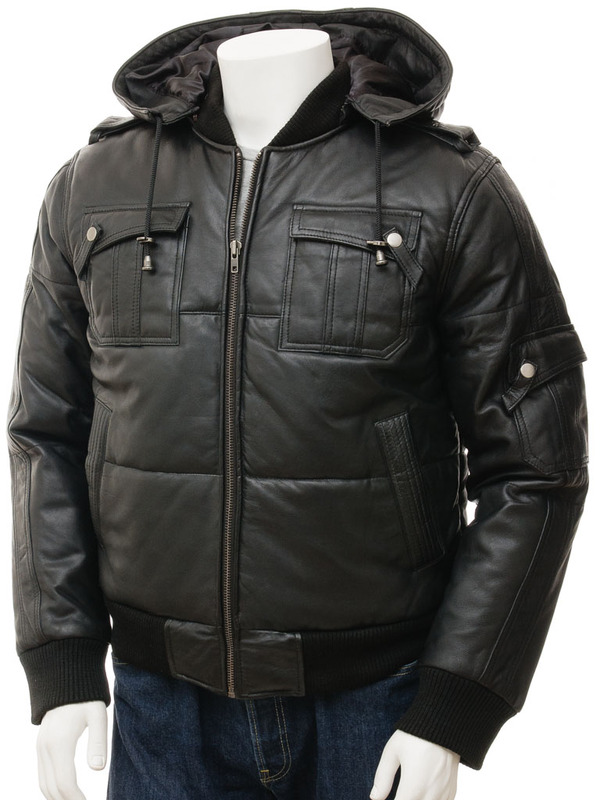 This jacket has been specifically designed to thrive in the harshest conditions the winter can throw at us. 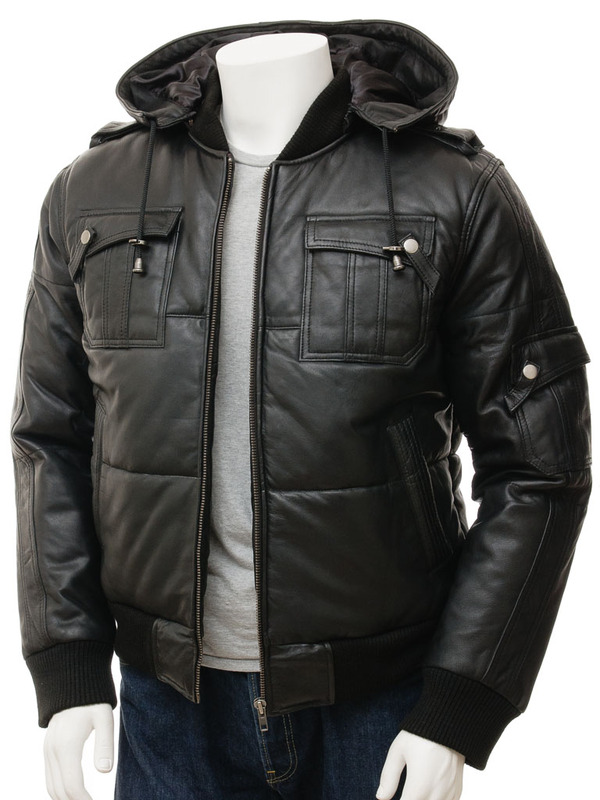 Made from a soft , supple sheep nappa leather it features a sturdy YKK zip which extends right up to a rib knit collar. 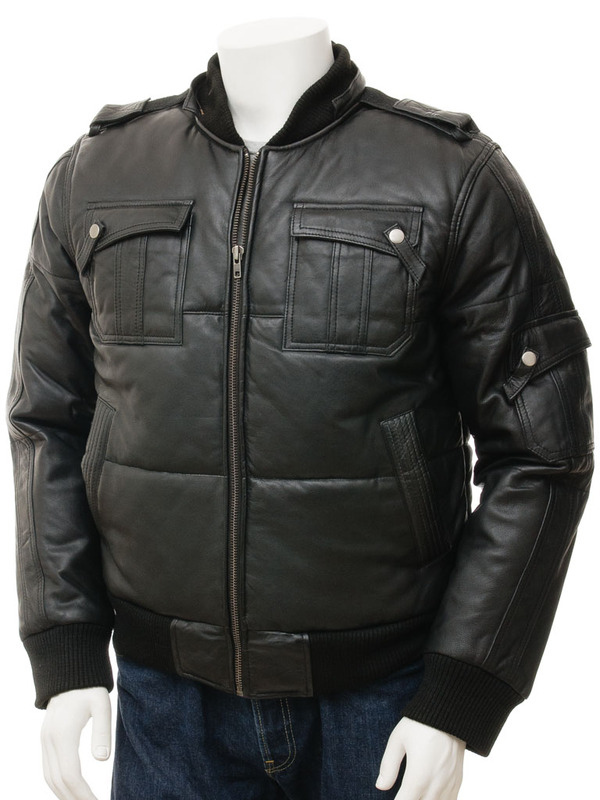 This rib knit is also used at the cuffs and the hem to help maintain body temperature. 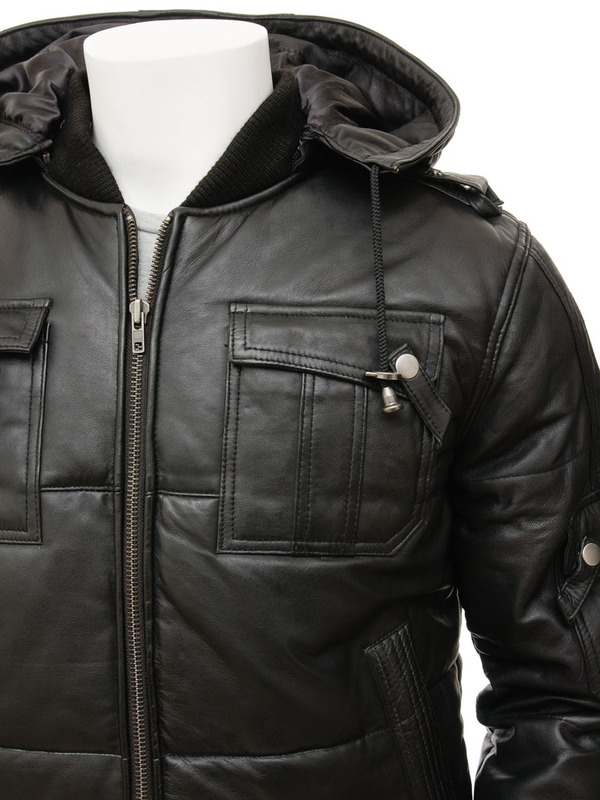 In addition there is a zip detachable, lined leather hood which not only protects your head from the cold and the rain but completely transforms the look of the jacket. On the shoulder are vecro fastened epaulettes and on the body four pockets plus one on the left upper arm. 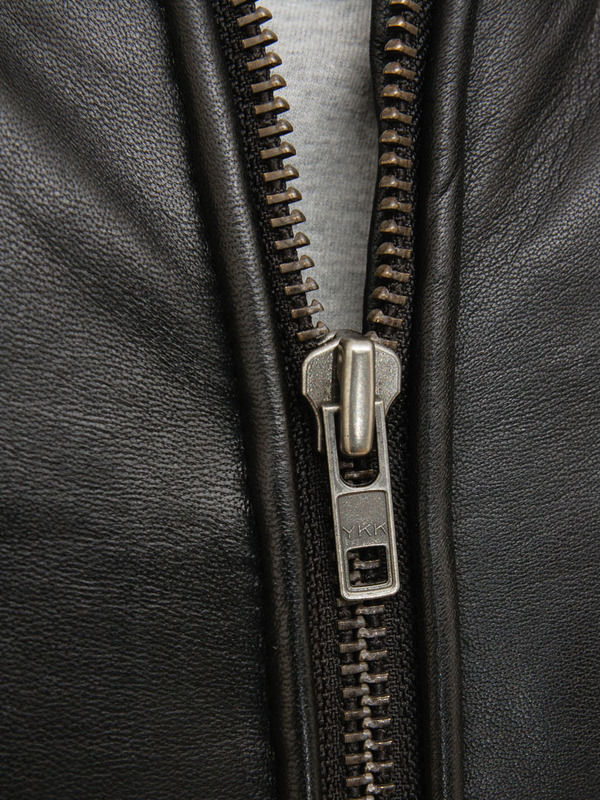 The jacket itself is thickly quilted with an insulating interlining while the inside is fully lined in a satin quilt.